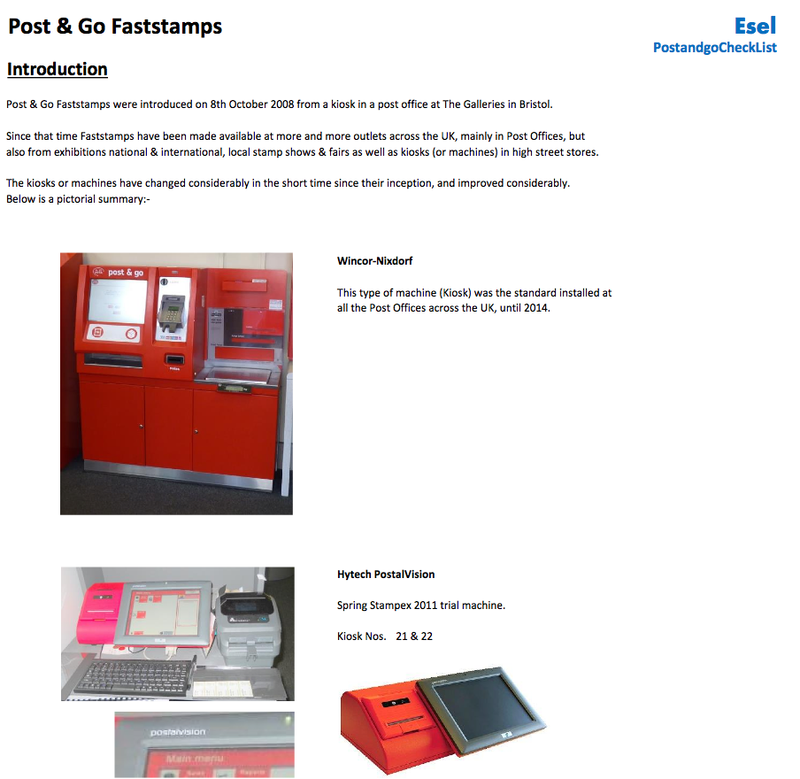 I am very pleased to report that the Post and Go Checklist is now available to examine online* or download. 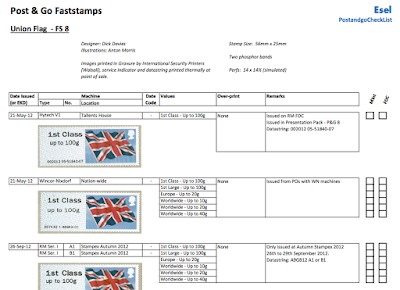 A tremendous amount of work has gone into it and it is a worthy addition to your Philatelic Library! After we produced the Machin Security Definitives Catalogue last year, several people asked about a similar list for Post and Go Faststamps. I made it clear in October that this was not something I would undertake and invited interested parties to contact me about production and distribution of a new list. As I wrote at the time, "There is a demand out there - who's up for it? " 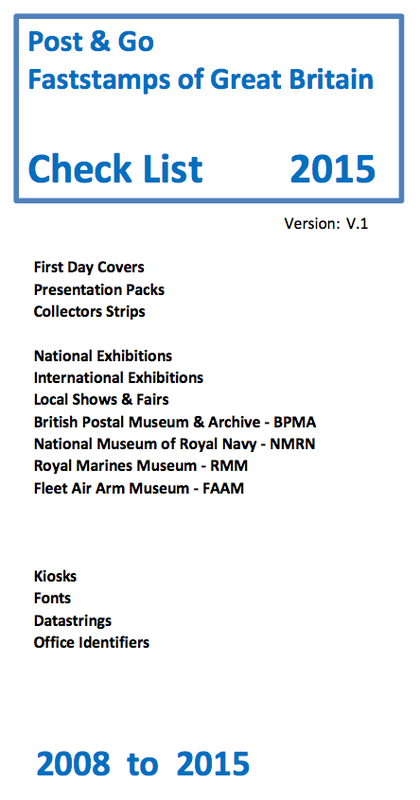 I'm happy to say that Stuart Leigh has produced a comprehensive illustrated check-list in multiple parts with a section for each stamp set/design - so if you aren't interested in the Channel Islands, you don't have to download those parts. Visit the postandgochecklist.yolasite.com website, click on 'CHECK LISTS' below the page title, and then choose the sections that you want. 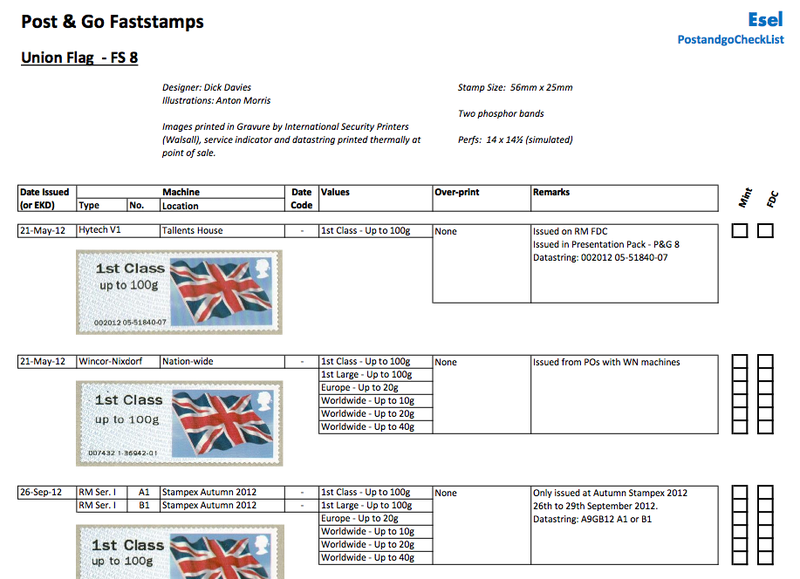 Part of Title page (right) and sample pages on the machines, and on the Union Flag Faststamps (below). Click on these images for larger versions. * Depending on your browser settings you may be forced to download these pdf files, or you may be able to see them in your browser and then decided whether to download them. 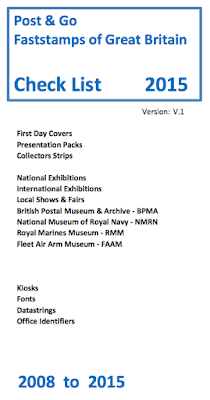 Like our own Machin checklist, there may be errors or omissions in the Stuart's list despite the assistance of some well-known authorities on the subject so do use the contact form on the website, to help make sure this is the definitive reference material.